Winter is a wonderful time of the year to jet off on discovery holidays because it allows you to escape the UK’s dreary weather and see somewhere new. There are some amazing destinations that you can explore at this time of the year – check out our picks of some of the best. Cuba is a fantastic place to visit during the winter, with the Caribbean nation experiencing warm and sunny – but not overly hot – weather at this time of the year. It’s also not as crowded as it can be during the summer, which means you can really enjoy exploring all that the country has to offer. What makes Cuba so great is its variety of attractions – there’s all the history and culture in its colonial cities, areas of outstanding natural beauty and stunning stretches of coastline. You can spend a few days discovering Havana and its incredibly well preserved colonial centre. 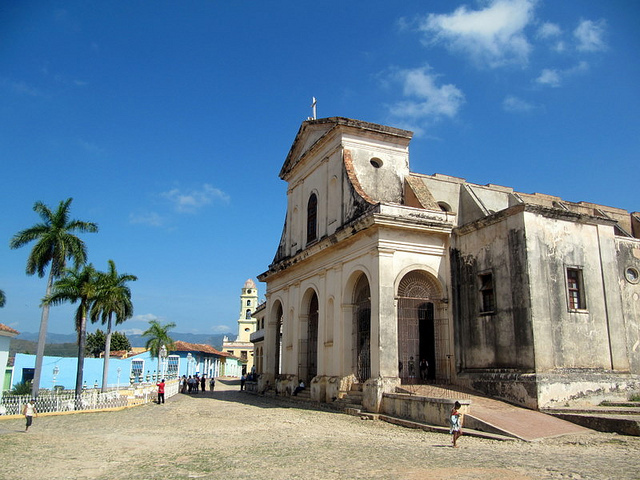 There is a wealth of historical attractions and museums here, so it’s the perfect place to get to grips with Cuba’s culture and heritage. Once you’ve had enough of the city, you can head into the nation’s mountainous interior to explore stunning scenery on foot. Cuba has some wonderful hiking trails – including some that lead you through the rainforest to sites used by the revolutionaries years ago. There are volcanoes, mountains and verdant valleys to discover, with challenging walking routes as well as gentler tracks for you to choose from. Round off your trip by spending some time at one of Cuba’s amazing beach resorts where you can lie back in the sun and enjoy the relaxed side of the Caribbean. For activity lovers, Morocco is a fantastic choice, as the country has a lot of adventure to offer, particularly in its High Atlas Mountains. There are amazing opportunities for walking here, with one of the toughest options the Mount Toubkal climb. This is the highest peak in North Africa, with the summit at 4,167 m tall, and it’s walkable for the entire year. In winter, though, you’ll have an added challenge as you get closer to the top because snow and ice on the upper slopes mean you’ll need crampons and ice axes to complete the climb. Despite the potentially difficult conditions, the hike up Mount Toubkal can easily be done in less than a week, so it’s ideal if you don’t have a long time for a winter holiday. What’s more, your time in Morocco won’t only be spent walking – you’ll have several chances to interact with the local Berber people, giving you an unrivalled insight into this side of the country’s culture. Of course, you can also arrange your walking holiday so that you have a couple of days in one of Morocco’s thriving cities, like Marrakech. The vibrant stalls of the Djemma el Fna square are a must-visit here, as are landmarks such as the Koutoubia Mosque and the Ben Youssef Medersa. Cyprus is another popular walking destination that’s best visited during the winter if you’re keen to get out and about. As with Cuba, the climate is warm and sunny but not oppressively hot, making for comfortable hiking conditions. There’s a lot to see here, from striking natural landscapes to sites associated with ancient Greek mythology, as well as numerous historical attractions. A trekking break on the island will usually involve spending some time walking in the Troodos Mountains, as well as following trails in the stunning Akamas Peninsula. This will give you a good overview of Cyprus’s traditional inland villages and rugged interior, in addition to providing you with ample time to enjoy the delights of its coastline. You can also stop at interesting historical and mythological sites along the way, with the likes of the Baths of Aphrodite, the Kykkos Monastery and the archaeological site of Kourion among the places you can explore on a trip here. For a truly exotic active holiday, Vietnam should be firmly in your sights. The country is best visited in the winter months – especially if you plan to spend time in the hills – because despite the weather being a little cooler at this time of the year, you’ll typically avoid the storms that can hit during the summer months. A hiking break here will introduce you to the nation’s incredible hill tribes whose way of life has changed very little over the years. You can even stay in remote villages during your trip to really get to grips with how they live. Walking in the northern region of the country will also allow you to explore its breathtaking karst landscapes, which most travellers to the nation never get to see. The incredible scenery has been carved out by the elements and is a truly astounding sight. You can still make time to visit some of Vietnam’s most famous tourist attractions – like Halong Bay and Hanoi – before you leave, too. If these suggestions have got you thinking about booking a winter holiday with a difference, check out this website for further inspiration.